There’s no sermon at the Living Last Supper service at St. Andrew’s United Methodist Church in Mount Pleasant. There are words, to be sure, but the narration is only part of the story. 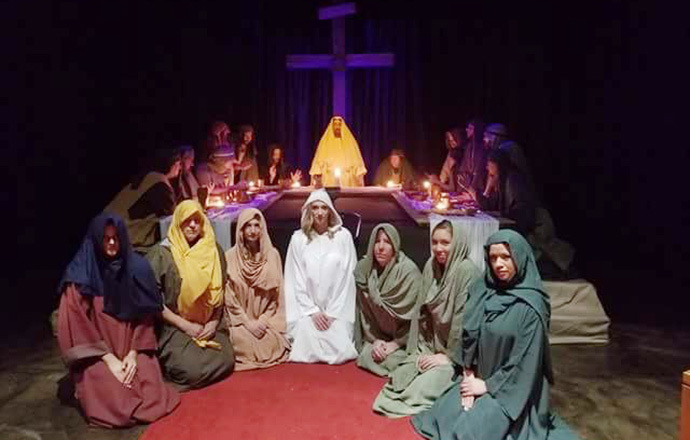 Actors portray Jesus and His disciples, along with servers and other characters, in a visual representation of some of the final hours of Christ’s life before His crucifixion. 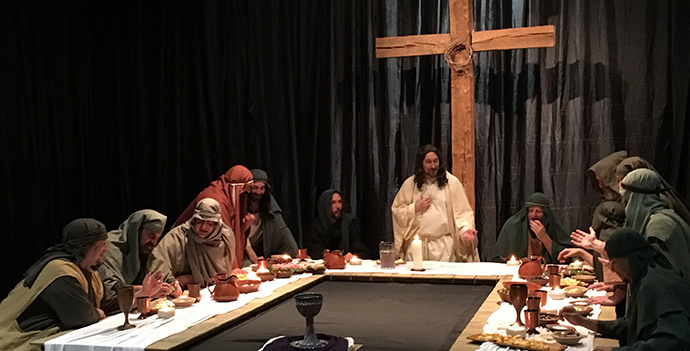 The Living Last Supper is an annual tradition at St. Andrews UMC. For more than 20 years, its members have offered this dramatic recreation of the last meal of Christ. It’s an emotional experience for many. “We never fail to have at least one or two people leaving in tears,” Bogart said. “And because we move from the Last Supper to the beginning of the crucifixion, people know what’s coming next. And yet, it never fails to jar them.” The Living Last Supper is staged twice each Eastertide, at 7 p.m. on Holy Thursday and again at 7 p.m. on Good Friday. 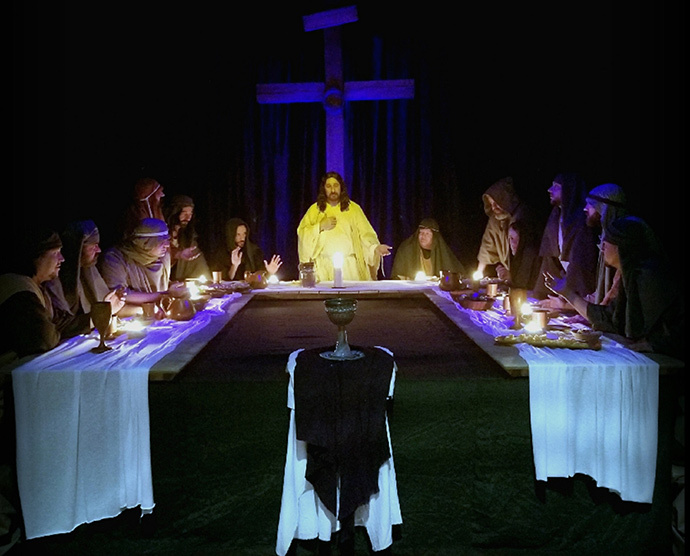 “What I love about the Living Last Supper is that it invites you to see yourself at that table,” Bogart said. “That’s why Holy Communion is always a part of it. After the story is told, everyone is invited to come and receive communion.” Other churches have similar services; in nearby Pittsburg, Rev. Hill Johnson says his church does it every other year (this is an off-year). At St. Andrews, a cast of about 30 (35 with stage hands included) will evoke the historic event. It ends, as Good Friday did, with darkness. “At the end of the story, we extinguish the light—the light of Christ—and you’re invited in your imagination to draw closer to the crucifixion,” said Bogart. “It allows us to experience it through our senses and through our hearts, and not just our minds.” St. Andrews United Methodist Church is located at 2019 N Edwards Ave. in Mount Pleasant.